We have spent the last few months learning so much about some Ocean Animals, but what about the places these animals call home? 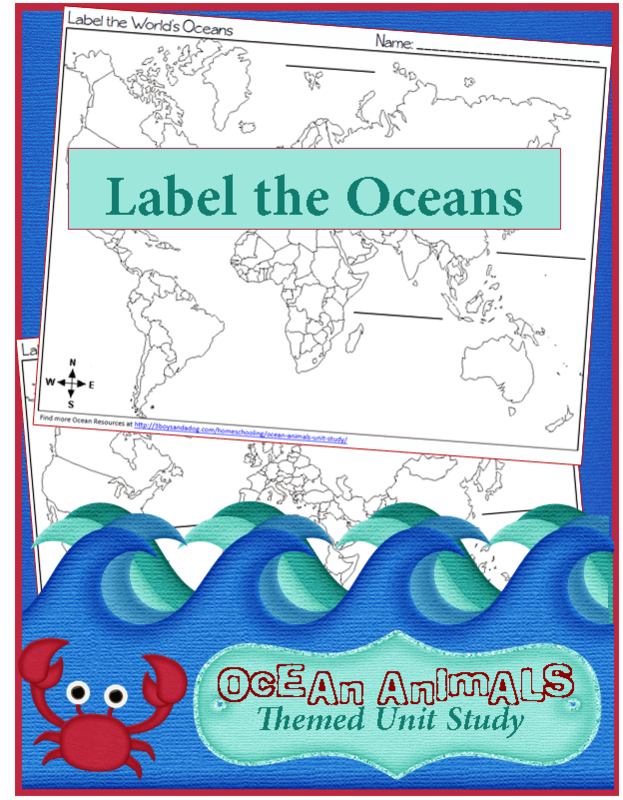 These geography: label the world’s oceans worksheets can be used while learning about the oceans. As we have learned about ocean animals, we have heard a few ocean names. These printables will help you teach your child to see the World of Water at a Glance and really understand the places the animals call home!